[dropcap]A[/dropcap]lthough a veteran of French music festivals, particularly during the decade-plus one we lived in France, Saintes is one I had never previously visited until this year. Situated in the south-west in the departement of Charente-Maritime, Saintes dates back to the days when it was the first Roman capital of Aquitane, a past still in evidence today in the shape of the imposing Arch of Germanicus (AD18-19) and an amphitheatre dating back to AD40-50. Other architectural treasures include the late-Gothic cathedral of Saint-Pierre, which lies to one side of the attractive old town and the Abbaye aux Dames, originally the site of a Benedictine order of nuns founded in 1047. It is this last that is of the most interest to this report, for today it is the home of what is known as ‘la cité musicale’, a complex centred around the abbey church, a building that has survived many a vicissitude during the course of its long history, and the 17th century residential block. Today, as at Ambronay, that is put to service for the accommodation of visiting performers and other visitors, while its ground floor also incorporates an auditorium used for smaller-scale concerts. A constant feature of the annual festival, held this year over nine days in the middle of July, is a focus on the music of Bach, while 2018 also paid special attention to British composers and artists, among the latter Carolyn Sampson, to whose concert we’ll return below. On most days large audiences, most of whose members appear to come for at least several days (we constantly saw the same people during the three days we were there), have a choice of four concerts. While the emphasis is on Baroque music or that of later periods played on period instruments, the festival is not exclusively devoted to early music, as names such as Debussy, Kurtag, Ligeti and Xenakis readily testify. This applied, too, to the first concert we attended after arriving on 19 July. Carolyn Sampson has long been one of the treasures of the British early music scene, but here, capably accompanied by the pianist Joseph Middleton, she was on rather less familiar territory in a programme of 20th century English song. I have to confess it is a long time since such repertoire formed part of my regular listening and I fear that even Sampson failed to win me over to Walton’s Songs for the Lord Mayor’s Table or three of the Façade settings; indeed in the case of the latter I’m still wondering what the audience made of the French translations of Edith Sitwell’s bizarre verse. Groups by Bridge and Quilter fell pleasingly on the ear given Sampson’s consummate artistry, but it took Vaughan Williams’ ‘Orpheus with his lute’ and a dreamy ‘Silent Noon’ (some exquisite mezza voce here – and indeed elsewhere) to strike at the heart. The later evening concert, a free performance of Handel’s Water Music and the Harp Concerto, op 4/6 arranged for flute by conductor Hugo Reyne, had been scheduled to take place in the abbey gardens, but doubtful weather necessitated it being moved to the abbey. Given by Reyne’s orchestra La Simphonie du Marais and accompanied by the conductor’s introduction (he appeared wearing a yachtsman’s cap) and commentary – we were shown what horns and natural trumpets look like – the concert would doubtless have worked much better outside. As it was the juxtaposition of Reyne’s childish jokes, some hair-raisingly fast tempos and some less than persuasive playing (some of the wind playing was rough enough to sink the barge) made for an irritating end to a long day. To be fair, it has to be recorded that the capacity audience loved it all. One of the most admirable features of the Saintes Festival is the encouragement it gives to the development of young musicians. Since 1996 the festival has had its own period instrument orchestra, Le Jeune Orchestre de l’Abbaye aux Dames. Formed to perform Classical and Romantic music, its membership is international and it has had the advantage of working under conductors such as Christopher Hogwood, Marc Minkowski and, especially, Philippe Herreweghe, who from 1981 to 2002 was artistic director of the Festival. This year it gave three concerts, the one we heard at the early afternoon concert on 20 July being devoted to composers who existed ‘in the shadow of Beethoven’ and the great man himself, represented by his Piano Concerto no. 4, magisterially played on an unidentified large grand fortepiano by Ronald Brautigam. The quasi-recitative central movement came off especially well, while the Rondo finale was launched with great verve. The young orchestra, some 60-strong played with a youthful panache and splendid finish under the baton of Michael Willens. Earlier the orchestra responded with engaging fervour to the early romantic freshness of E T A Hoffman’s Ondine overture with splendidly alert playing, the wistful reprise of the principal subject lingering particularly in the mind. An immensely satisfying concert concluded with another rarity, the Symphony No. 4, op 60 by Jan Kalliwoda. Dating from 1835, the work explores all the typical gestures of the full-blown romantic symphony: the mysterious slow introduction rising from the bass, the long sustained horn calls in the Romanze second movement, while also paying due homage to the composer’s native Bohemia in the Harmoniemusik writing of the finale. If the work carries a suggestion of déjà vu, it nonetheless makes for agreeable listening, particularly when played with as much vitality as it was here. The evening brought an even greater rarity, a performance of Issé, the first opera – and in the view of many of his contemporaries the best – of André-Cardinal Destouches. Originally composed in 1697, it was heard here in a revised version dating from 1708. Since I’ve reviewed the fine performance by Les Surprises under their director Louis-Noël Bestion de Camboulas elsewhere, I’ll here merely record that regrettably it was done with significant cuts and that there will be an opportunity to hear it again with a more starry cast at Versailles in October. The final morning of the Festival brought further uplifting evidence of the encouragement offered to youthful music making, in this case at an even earlier age. During the week-long course of the Festival, some 60 children aged between 7 or 8 and adolescence rehearse a programme presented twice to audiences in the Auditorium on the last day. 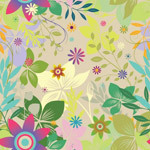 It is not a repertoire for faint hearts either, several of the items requiring part singing and one very much in a contemporary idiom. But what is especially heartening was the introduction of the great classical repertoire, so, for example, the older children sang Purcell’s ‘Sound the Trumpet’ (with very good English diction), and two extracts from the Pergolesi Stabat Mater. Given the timescale, the results the tutors achieved were little short of astounding. Early afternoon found us back in the abbey for performances of two of Bach’s Missa breve’s, BWV 234 and BWV 236. They were given by the ensemble Vox Luminus, here comprising three singers per part and directed from among the basses by Lionel Meunier. The orchestra, Andrew Parrott would be pleased to learn, numbered slightly more than the singers, though not on the scale of his ratio. One of the advantages of being directed unobtrusively from the choir is the special need for the singers to be fully aware of what is happening in the other parts. Here that paid off in performances that were at their best in the choral sections, where balance was also excellent. The opening entries of the Kyrie of BWV 234, for example, were beautifully judged, the succeeding chromatic writing splendidly exposed. With the exception of the ‘Domine Deus’ duet in the same Mass, beautifully done by soprano Caroline Weynants and alto Jan Kullmann, solo sections were less satisfying, several soloists displaying weak tone and poor articulation of ornaments. The orchestra played admirably throughout. 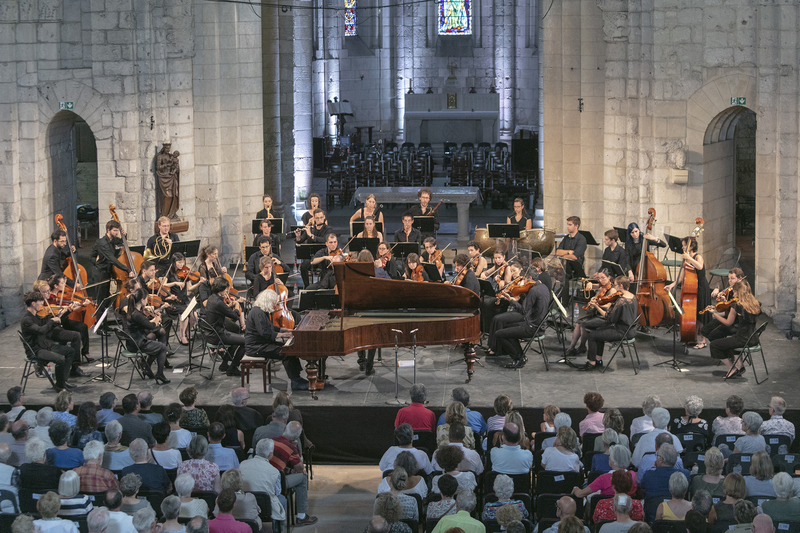 If revisiting repertoire long neglected was something of a theme of my visit to Saintes that was never truer than at the last concert, given by Herreweghe and his outstanding Orchestre des Champs-Élysées. Never anything like a perfect Wagnerian, I have reached that stage of my life when I’m not that concerned about listening to his music. So I faced the prospect of a performance of the Wesendonck Lieder with, shall we say, muted expectation. How wrong I was! Given by the Dutch soprano Kelly God, this was a glorious performance of these Tristan und Isolde-related songs, with their glutinously decadent poetry. The overwhelming beauty of God’s singing was that it avoided totally any such viscous implications, the tone soaring with a purity and lack of intrusive vibrato that made for endlessly engaging and enthralled listening. The final act of the 2018 Festival was a performance of Bruckner’s Symphony No. 4. Bruckner’s symphonies, with massive organ-inspired sonorities, huge unisons and constant ebb and flow of extremes of sound are of course made for just such a building as the Abbaye aux Dames. Herreweghe’s breadth of conception, allied to the sharper focus possible with period instruments made this a performance as memorable for the delicacy of the string playing in the Andante (ii), for the thrilling horns in the Scherzo (iii) or the overwhelming climaxes of the opening and last movements. It made for a fitting climax to what I hope was the first of many visits to the hospitable Saintes Festival.